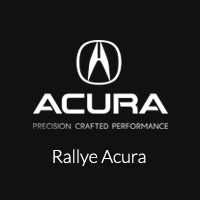 Rallye Acura is New York’s premier Acura dealership located in Roslyn, NY. The new Acura lineup has a lot to offer, and we’re confident you’ll find a vehicle that meets your needs. Our newest model, the 2018 Acura TLX, is among the most technologically advanced and well-equipped midsize luxury cars in its segment. Contact us today to learn more about this exciting vehicle! ¹Closed-end lease for 2018 TLX 8 Speed Dual-Clutch vehicles (UB1F3JJW) available to customers with approved credit. Not all lessees will qualify. Higher lease rates apply for lessees with lower credit ratings. Tax, title, license, dealer fees & DMV fees additional. MSRP $33,950 (includes destination, excludes tax, license, title fees, registration, documentation fees, options, and insurance). $2,499 due at signing, total monthly payments $11,844. Option to purchase at lease end $20,370. For well qualified buyers for up to 36 months through AFS. Early lease termination for up to 12 payments and subject to dealer approval. Vehicle condition and mileage may affect final offer. Offers are nontransferable except to member of same household, cannot be combined with any other offers and exclude previous sale. Valid on in stock vehicles only. Lessee responsible for maintenance, excessive wear/tear and 15¢/mile over 10,000 miles/year for vehicles with MSRP less than $30,000, and 20¢/mile over 10,000 miles/year for vehicles with MSRP of $30,000 or more.